Gareth is passionate about quality learning experiences for all children. As National Adviser, consultant, school leader, governor, lecturer and most importantly practitioner! Gareth has an in-depth understanding and wealth of experience from each strand of influence and from the Early Years through Primary and Higher Education. He has a proven track record of improving outcomes for children and has made notable contributions to school improvement, nationally, locally and within and across schools in both England and Wales. Gareth is presently working with Pie Corbett and John Stannard on the national Primary Writing Project; helping them to create a structured programme that trains and coaches primary school teachers on the effective teaching of writing. Within his role as role as National Strategies Adviser for Language & Literacy he delivered contextualised, pertinent and quality training to a broad range of Local Authority teams and school audiences. It was here where Gareth designed and wrote a range of published supporting materials around the development of literacy, language and phonics. 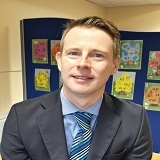 More recently he has become an accredited Reading Support National Adviser with EdgeHillUniversity and has co authored a wave 3 intervention called Phonics Counts. Furthermore he is an accredited National Trainer for the updated and long established Better Reading Support Partners (a wave 2 reading intervention). Always having a keen eye on standards and children reaching their full potential, Gareth works for the Welsh Assemblies as a Learning Improvement Partner for the National Support Programmes, ensuring its implementation leads to better outcomes for children. This year he has spoken at conferences for Early Years Matters and the Making Interventions Count Conference in London.